Pondering Preschool: What's happening along the edges? What's happening along the edges? 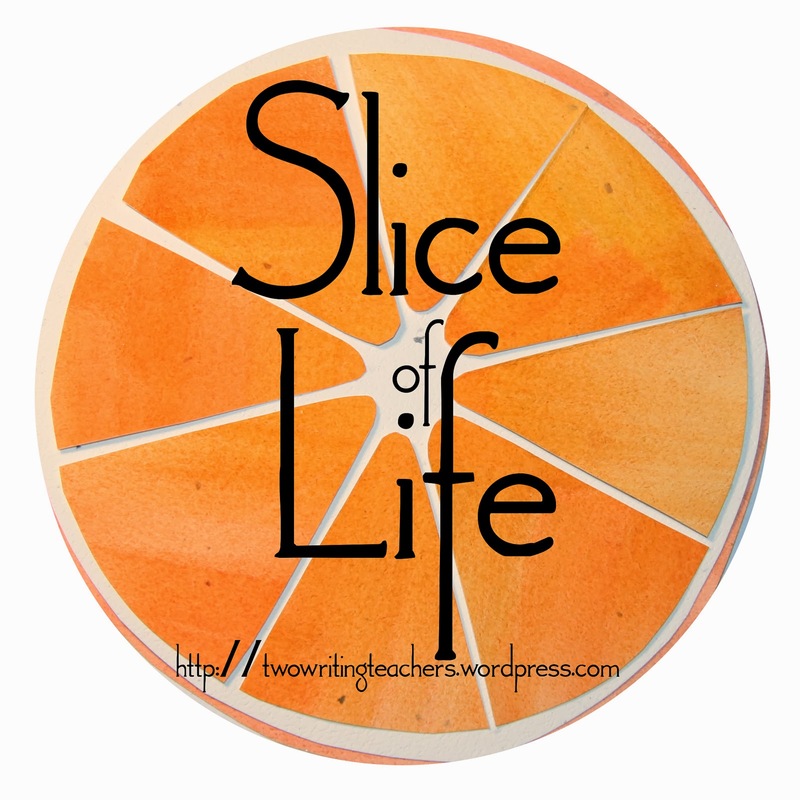 Tuesday Slice of Life with Two Writing Teachers. for teacher-writers to share and reflect. I walked slowly, noticing. There was a very inconsequential rain throughout, with sun streaming as well - a 'last vestiges of summer' kind of rain. My protective hat was just enough to keep the rain away from my face, and that's all I needed to ensure my continued walking. The meadow was filled with gorgeous yellow yarrow, milkweed, and purple thistle. There were so many insects busy at work...there are, in fact, I soon realized, an amazing number of lives in a meadow...butterflies, dragonflies, crickets, bees, hornets, spiders, beetles, flies, ladybugs, on and on, innumerable small and new, anonymous species. Within each of these categories of insects, there was tremendous variety...I saw so many different types of butterflies, for example. Are there a zillion types of dragonflies? Thin-bodied, thick bodied, blue, black, small, medium, large, and more? As I walked, I seemed to stir up the insects...my footsteps instigated immediate, quick, and yet nearly invisible movement - as if we were playing hide and seek. As I wandered, all sorts of insects would jump from the mowed path that I was walking on, into the recesses of the tall grasses and plants in the meadow. How to describe the movement of all these small beings, all at once, as if on cue, with every step I took, within five feet of my own steps, always in the direction I was walking? If I stopped and went completely still - well, they would go still as well, nothing moving, quiet all around. But if I stepped again - voila! Immediately, the grass started jumping, coming alive, shimmering and flickering, almost like a light show with teeny tiny lights. Surreal. It felt like a celebration. Why all this movement? Did the insects hear me? Did they feel the shaking of the ground? Or did they see me moving their way? Was I disturbing them? Or were they delighted to see me? Were we playing a game of following the leader? Who was leading whom? Here I am, back to my normal life, for just two days now - and I have remembered to "stop and notice" throughout the day. At school, I've started a fun little personal challenge, thanks to this retreat - what's happening along the edges in my classroom? Who's on the sidelines and what kind of merrymaking are they up to? The possibilities are endless. I thought about your students as I read this lovely memory, specifically the way you teach them to notice and learn. Your descriptions of the retreat and the forest reminded me of the book “The Forest Unseen.” I’ve had such longings for the forests of Missouri where I grew up lately. They’ve really surprised me. Are you able to bear the responsibility? How to put the puzzle pieces together?